Jack Stone has pastored ten churches in the Nashville area over the past thirty years, co-founding several of them. Originally from Charleston, WV, Jack moved to Nashville in 1965. 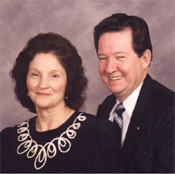 His wife, Jean, was his hometown sweetheart and has been a constant source of inspiration and encouragement. The story of a man with his wife and family who came out of Appalachia. An ex-Marine who accepted the challenge of making a living for his family while answering God’s eternal call on his life. A simple man who overcame the odds, finished college, bought a house, worked two or more jobs and maintained his sense of humor. This book is his story. "Jack Stone tells his life story with amazing recall and detail that is entertaining,educational, and inspiring. After each chapter you want to read the next. He gives great insight into Appalachian, military, academic, religious, and political subcultures. He has written with frankness, an innocent kind of honesty. His story is enriched by the colorful descriptions of the people he has known. 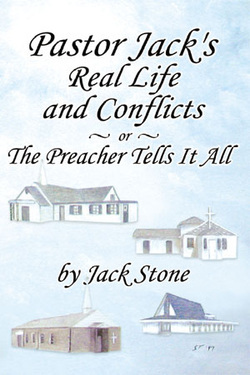 There is humor, conflict, crises, and even mystical experience in Jack's life. He tells how he received, resisted, and yet answered the call to preach. He describes the evolution of his theological and Biblical understanding. He reveals how God blessed his ministry. While the book is Jack's autobiography, it is also the story about the love, sacrifice, and commitment of his wife, Jean. It's said that fact is more interesting than fiction and this is certainly realized by those who read Jack Stone's story. "